And February is the month of Lettermo and InCoWriMo. There doesn’t seem to be a huge difference in them, except that Lettermo gives you Sunday’s off, so I usually end up doing a mash-up of both. And this year the Lettermo website seems to be more up to date. 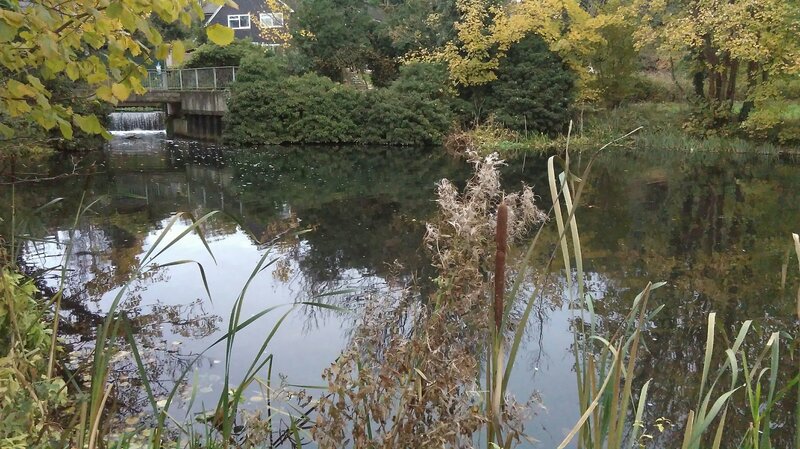 I’m also hoping it will inspire me to update the blog more often. The last year had felt like hard work but I’m hoping 2018 will be better in lots of ways. So, anyone want a letter? One card will eventually go home to Germany, the other card should soon fill up with names and head home to USA! 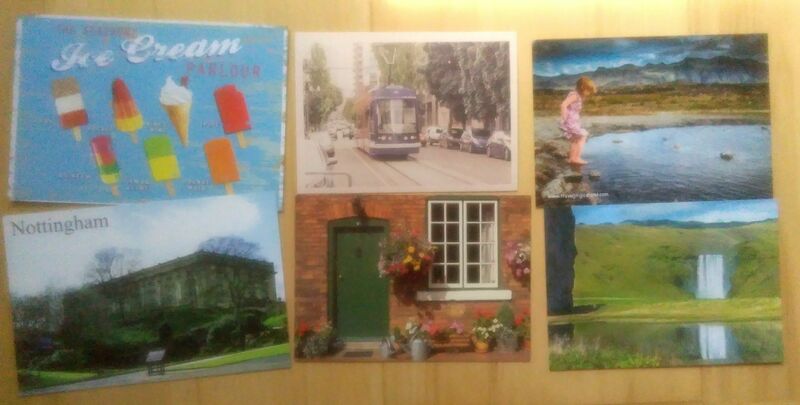 And all part of the adventure, the cards were rather damp when I received them so they look well travelled! 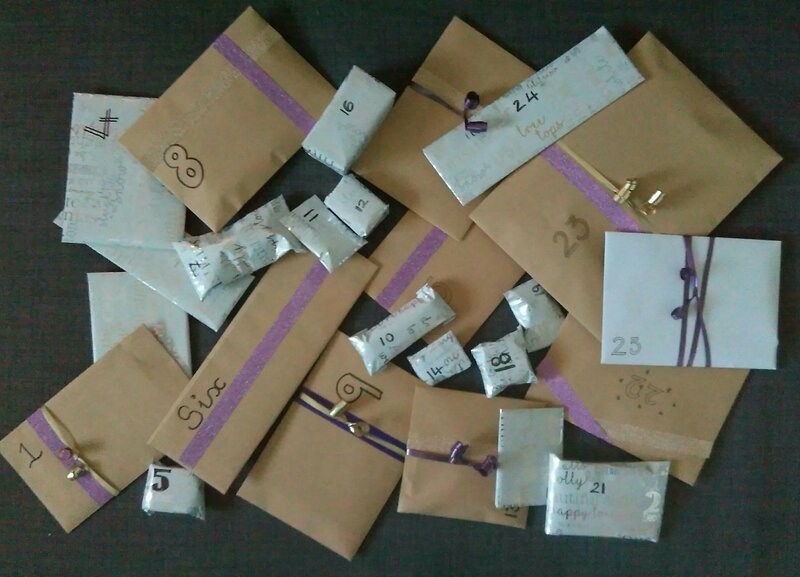 I did a couple of advent calendar swaps again this year. 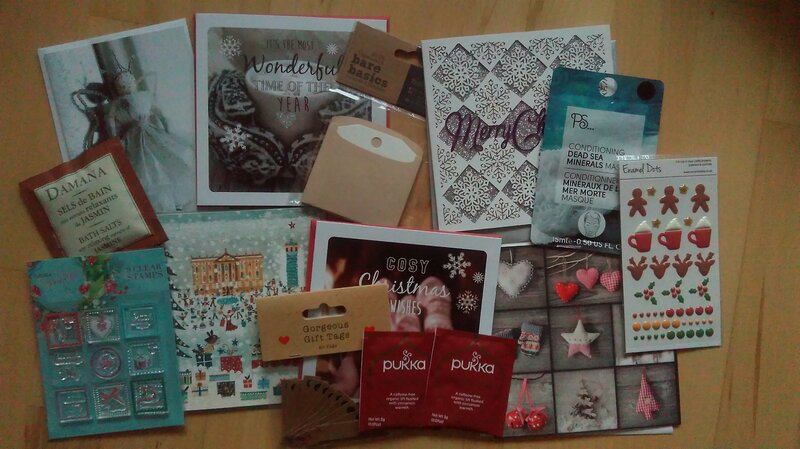 Everyday becomes a bit more fun with little gifts to open in the morning 🙂 Obviously I haven’t seen much of the calendars I received yet – I’m resisting the temptation to open everything at once! 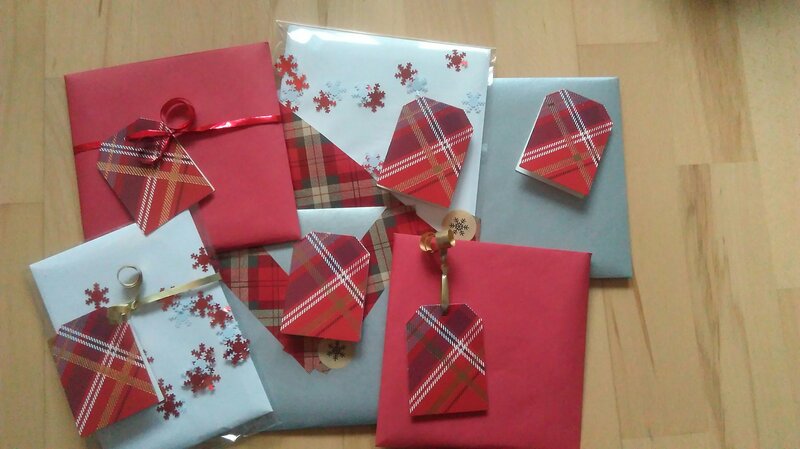 but I’m pleased with what I sent out so I hope my swap partners are enjoying their advent too. 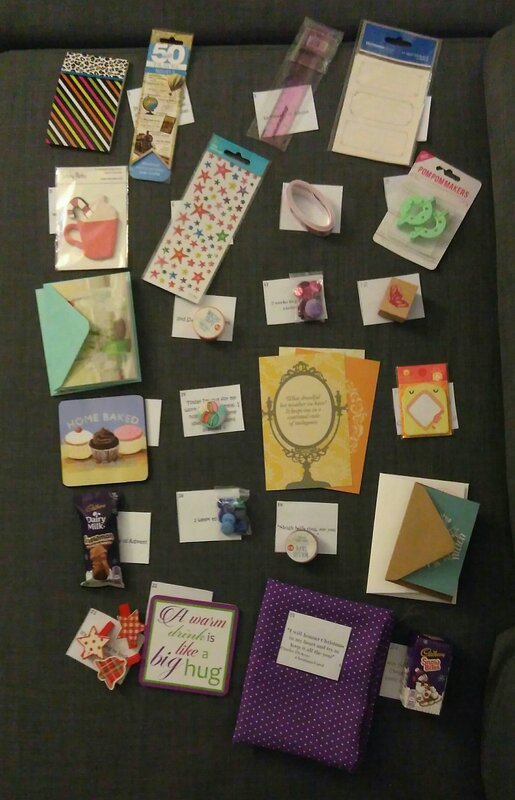 I rearranged some of the order after I’d taken the pictures, but the calendar includes note pads, note cards, stickers, craft items, coasters, and a bit of chocolate. 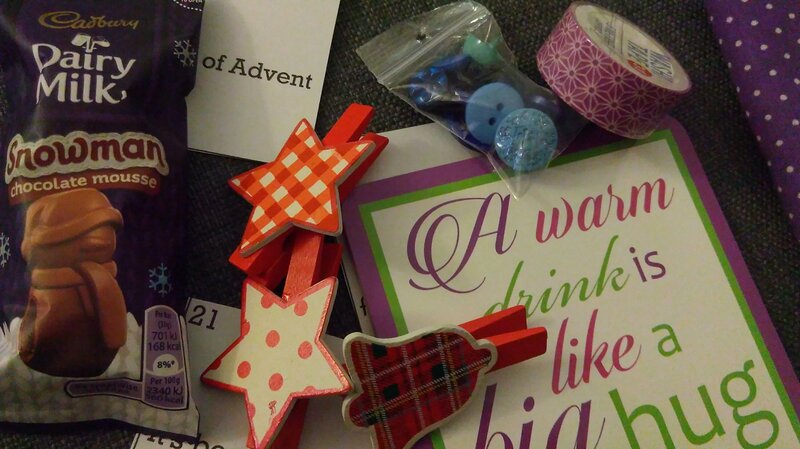 I also included a little note for each day, the first advent calendar swap I did a few years ago included notes and it made the calendar extra special, so I try to do the same now. The second advent calendar I swapped was slightly different. It’s made up of 4 swaps of 6 items, with a theme for each set. I can’t quite remember now which swap went to who, but I think it ended up mainly within Europe. 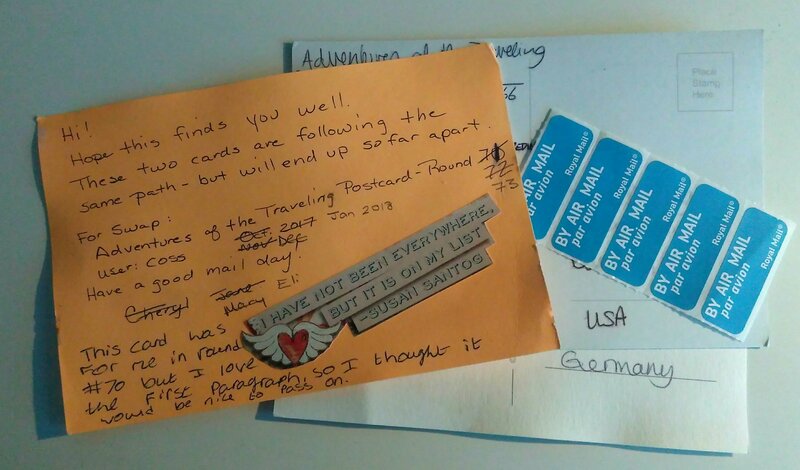 Possibly not all technically flat, but I sent 2 swaps to the same person so it was never going to be a slim package! 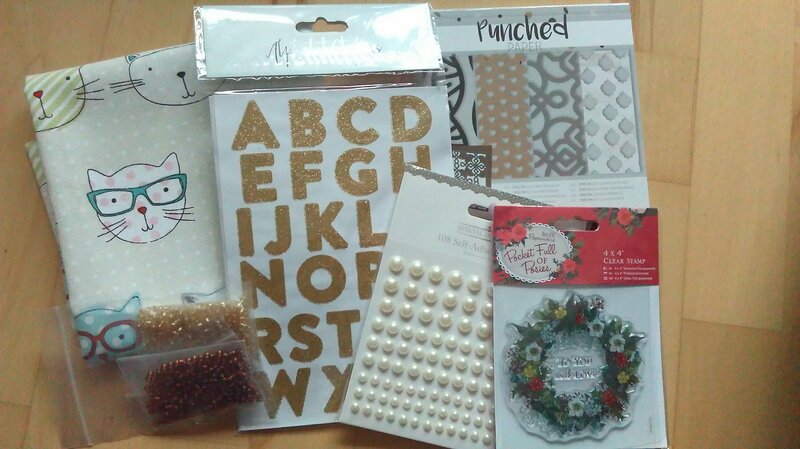 Includes fabric, beads, stickers, decorative paper, and a clear stamp. 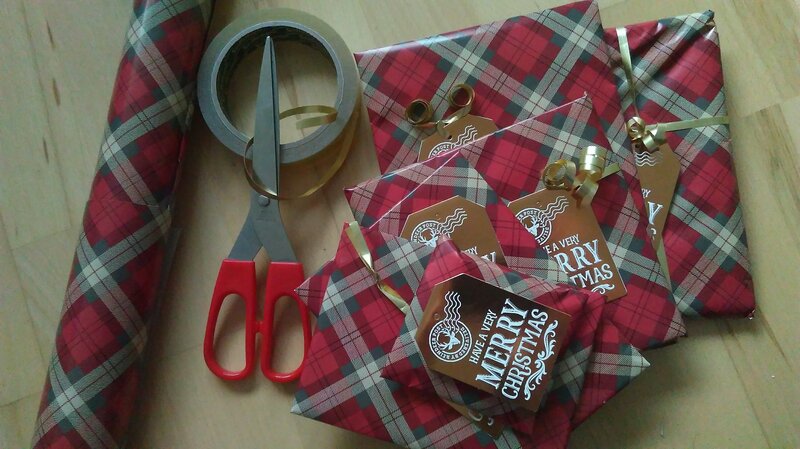 It’s only just December but I’ve already used up several rolls of wrapping paper so far! I also sent the 6 pairs of socks swap to this swap partner, but I forgot to take a picture before I wrapped them! 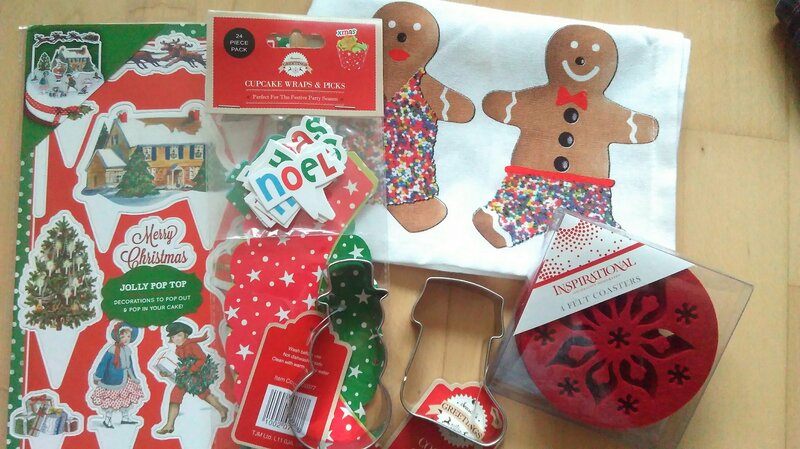 Cake decorations, cupcake kit, a tea towel, cookie cutters and felt coasters. All very festive and hopefully useful. I hope the recipients are enjoying starting to open their gifts. I definitely had fun this morning – I got penguin gift tags and an owl key cover 🙂 I can’t wait to see what I get tomorrow! 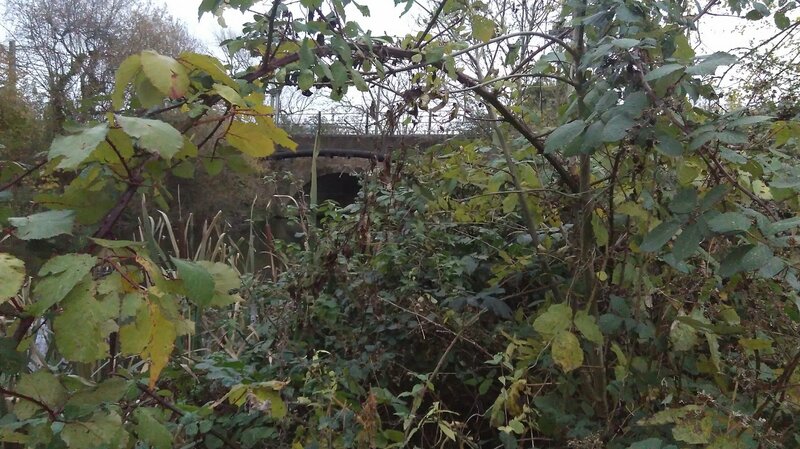 It’s been a day of driving and standing around so far, with the possibility of a short amount of site work, but at least it’s a nice place to wait! 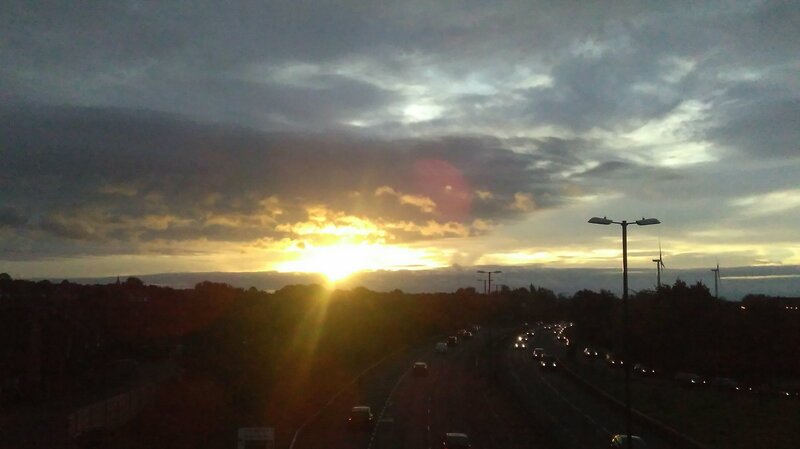 It’s definitely autumn here now and the days are drawing in, so here’s the first commute sunrise of the season. I finally finished the big project that’s been taking up all my sewing time! It’s a quilt for my Dad’s big birthday, and only the second quilt I’ve ever completed so I hope he doesn’t look too closely 🙂 It’s made using Altitude fabric by Pippa Shaw and Twist both from Dashwood Studio, and the Wonton quilt pattern from Jaybird Quilts. I hoped the triangles and points of the pattern would suggest mountains to reflect the fabric. 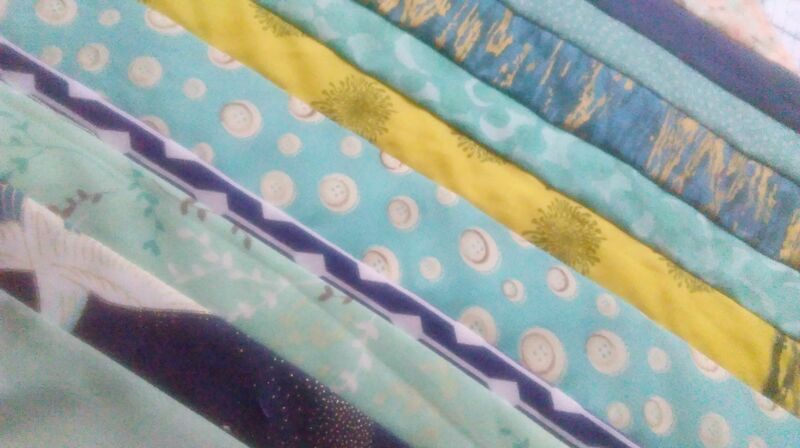 I used a big bundle of fat quarters which was enough fabric in total but not enough to have all my trapeziums in the same fabrics so they alternate similar coloured fabrics. The most complicated part was lining up all the shapes, especially getting the parallelograms together in straight lines. And then having to cut it down to a neat rectangle. 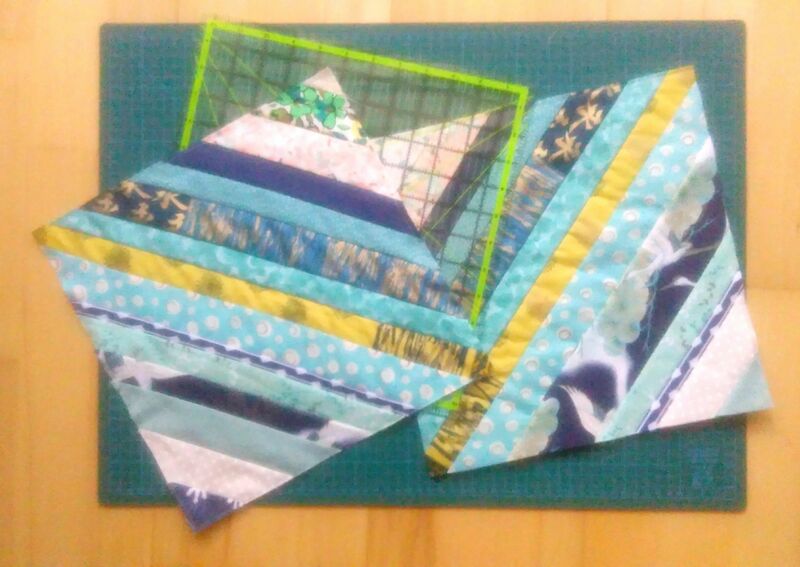 It’s quilted straight along the horizontal and diagonal lines – I had grand ideas about the detailed quilting I could do but I was running out of time and I’m just not used to handling that much fabric yet so the quilting stopped at following the seam lines. The binding is a mixture of the Altitude Trees fabric in blue and a bit of white, and a small section of indigo Twist. I really need to practice my binding, I aimed for proper machine binding (to finish it more quickly than hand finishing) but it just wasn’t straight and the stitching showing on top was all over the place, so I ended up sewing a neat top stitch along the edge on the front of the binding which holds down the back. Not perfect but it’s possible to be too close to a project and end up only seeing the flaws so I’m saying good enough. The label is stitched directly onto the backing fabric using freehand machine embroidery. 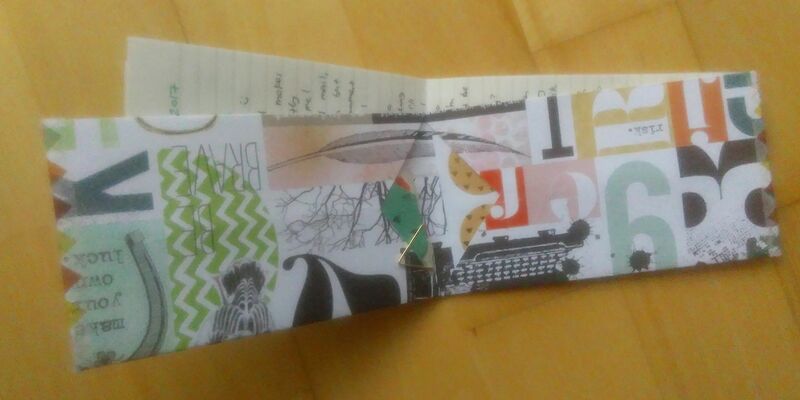 I can’t be the only person who looks at things and thinks “that would make some great interesting snail mail”, like the instructions for this origami wallet I saw recently whilst scrolling through some blogs. 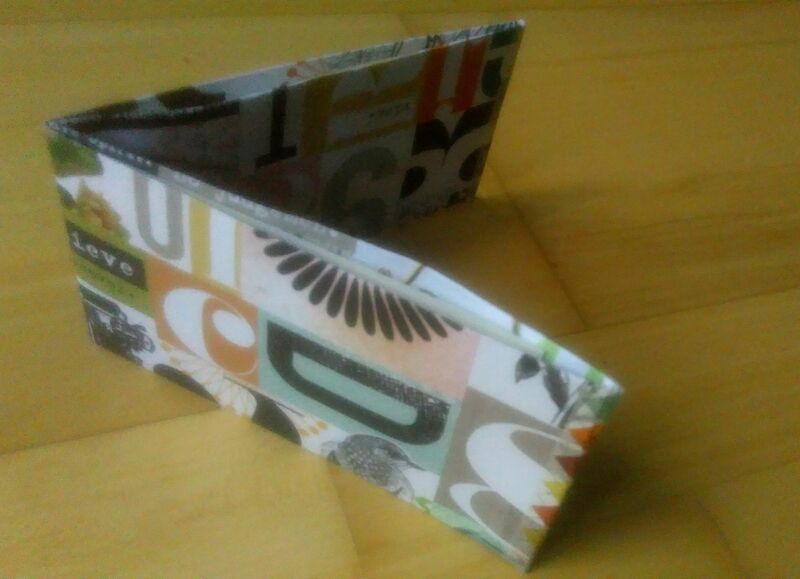 The original pattern uses A4 paper, I was trying to make the wallet deeper to hold a letter by using scrapbooking paper, but I just made it wider… needs a bit more experimenting! The paper can’t be too stiff or it starts to tear instead fold and tuck under, but patterned scrapbook paper makes a really bright wallet. 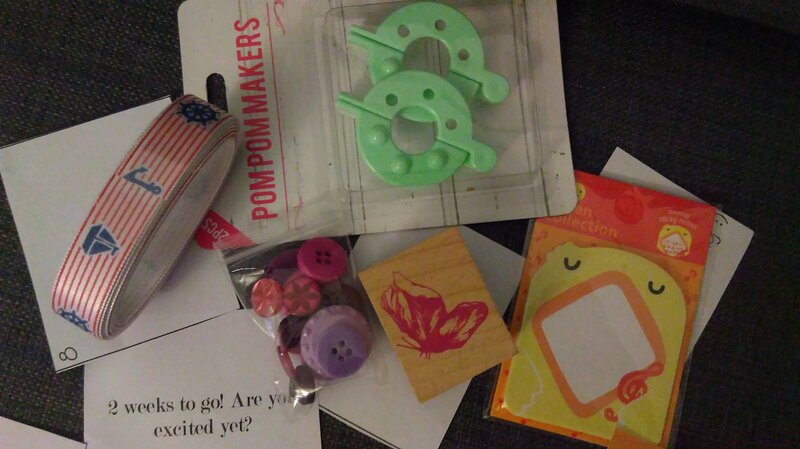 And it all folds up to be tucked in an envelope! 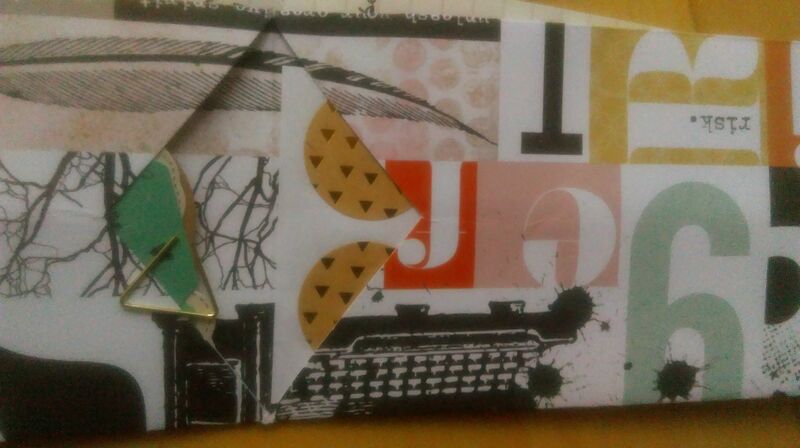 This fun letter is on its way to Canada to a new creative penfriend, but I think I’ll be making a few more! 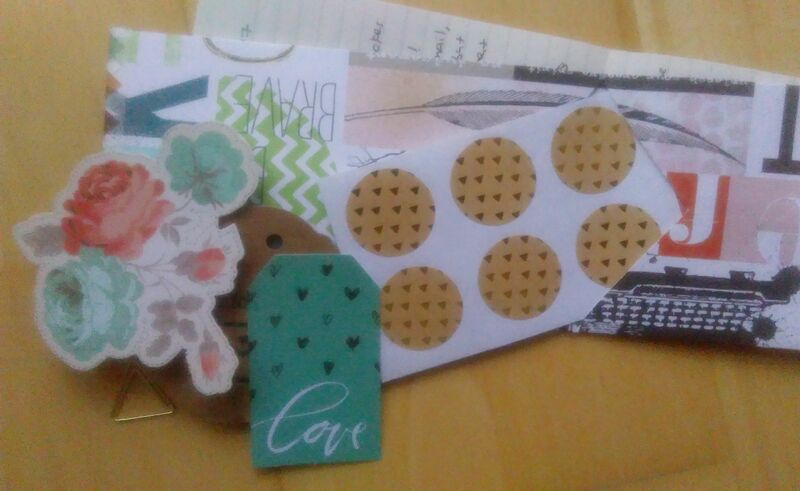 Now to tackle the backlog of letters! Most of my creative time recently has been taken up by one big project but I didn’t want to miss the second round of the striped quilt block swap on Swap-bot. All my colours recently seem to be blues and greens with a bit of yellow and brown so this block definitely has a colour theme! The block on the left is off to the USA as part of the swap. The block on the right I’m keeping to add to my eventual quilt, to help it grow faster. They’re nearly the same, but I used a wider strip of a nice Japanese print on mine to get more of the design, and of course I didn’t cut enough strips so the additional corner fabrics are different. 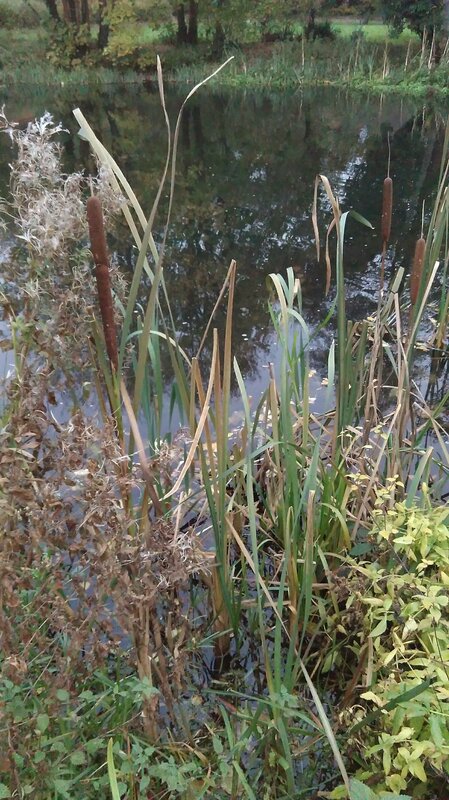 I need to start labelling them now, it will be nice to see where everything has come from once I have enough for a quilt.